Colloquialisms can be used to boost your test scores for IELTS, TOEFL, CAE, PTE or OET! 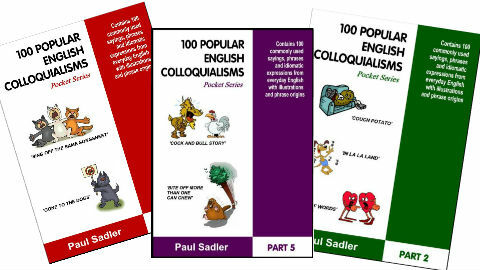 This series has been compiled to assist students preparing for English language testing (IELTS, TOEFL, PTE or OET) with a selection of highly used colloquial expressions. Test takers can boost scores through the expert use of colloquial expressions in writing or in speaking. It is also important for listening and hearing tests that some basic colloquial expressions are understood. Critically important marks can be lost or gained through understanding, identifying or using colloquialisms from everyday English. 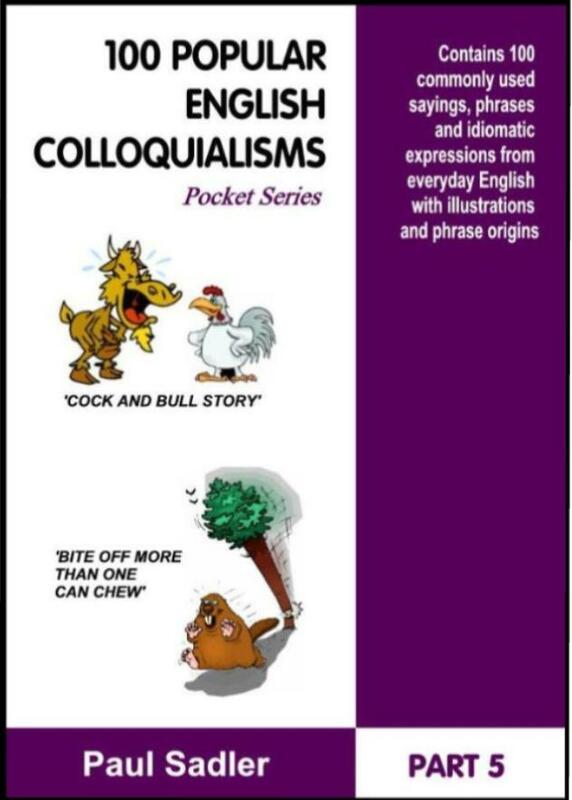 This series contains 500 of the most commonly used colloquialisms in English print and digital media. Sample page from book 2 of the series. 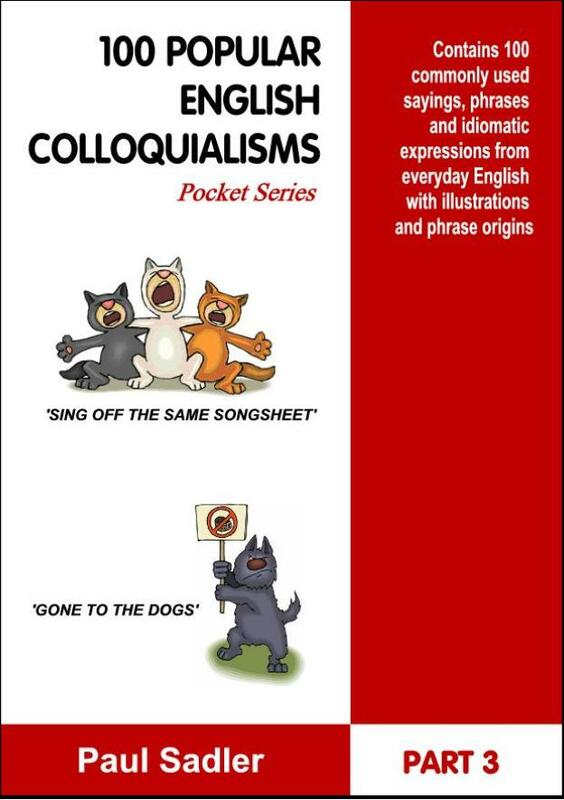 Each colloquialism in the series includes a sample sentence on usage, a brief definition, and a further detailed explanation of meaning in context. A colloquialism is a colloquial expression. They are used very commonly in informal speech and written communication. Despite their informal nature, colloquialisms are widely used in journalism and mass media, such as movie and television. Usage of colloquialisms in informal communication demonstrates a level of familiarity with a language that is not possible by simple lexical structures. Renowned international IELTS specialist Professor David Mann identifies usage of colloquial terms and phrases as one of the key techniques for boosting band scores in writing and speaking tests. Familiarity with colloquial terms and phrases will also assist students in IELTS exams to identify meaning in listening and reading tests. Students save time and are able to understand the informal context of the communication much better. VISAFAQ is an Australian based migration and global mobility advisory service. Registered migration agents and lawyers assist clients with advice, representation and assessment of visa options and migration pathways.